Victoria is part of the SomaChi traineeship program. Growing up as a long distance runner and athlete victoria was always used to moving her body and pushing it to the extreme. 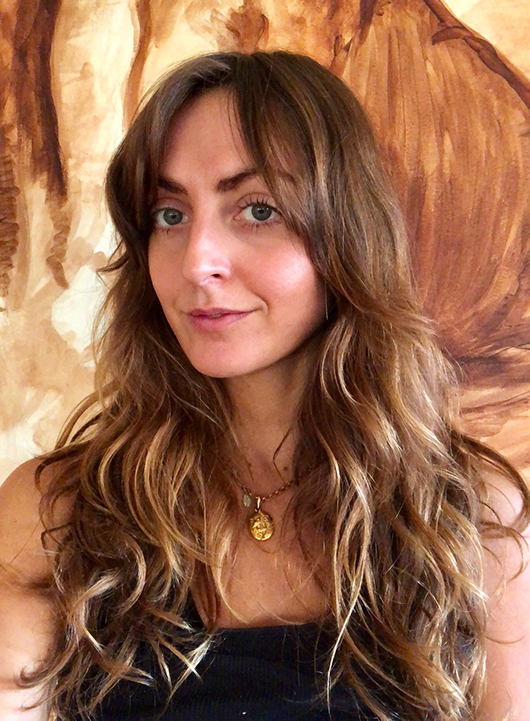 After moving to australia from the uk in 2009 she tried yoga initially as an alternative form of exercise and dipped in and out, trying different styles and studios in sydney and Byron Bay. It was only upon moving to Melbourne in 2015 and finding SomaChi that yoga and meditation really clicked and became more than exercise, it soon became a way of life, a practice for the mind and body. In the last few years her focus has been on vinyasa and particularly SomaChi yoga, she completed 10 months intensive 200 hour teacher training in 2016, an additional 50 hours of SomaChi trainng in early 2017 and a further 50 hours SomaChi in 2018. She assisted Lianne Metcalf in the Himachal Pradesh region of India for another 70 hours of immersive training in yoga and SomaChi’s Buddhist lineage. With 10 years working as a designer in the fashion industry Victoria brings creativity to her classes and sequences. She wants to share the practice of SomaChi and hopes to encourage and inspire others to experience and enjoy the benefits of yoga.